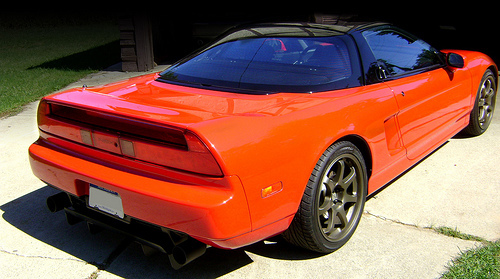 The bLodisign NSX diffuser is designed for the 1991-2001 NSX. 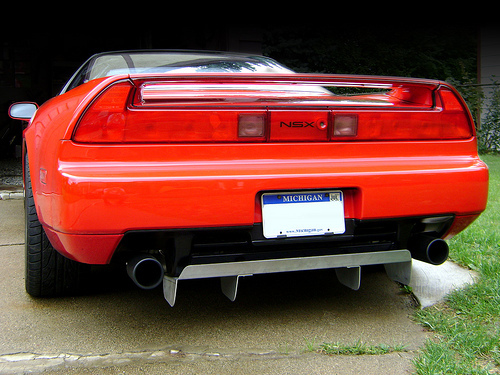 The NSX diffuser is laser cut from 3/32" aluminum for strength and durability while remaining lightweight. 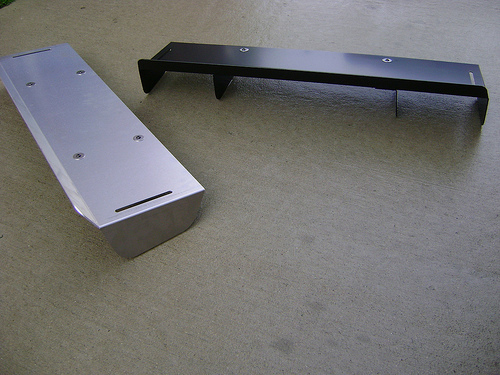 Available in powder coated satin black or bare aluminum, which allows you to choose your own finish. Adjustable fore and aft to accommodate different exhaust setups. This also permits you to configure to your taste how aggressive it appears from the rear. Installation takes only a few minutes! Simply unscrew the existing phillips head screws at the bottom of your stock valance. Use the supplied bolts and washers to attach the diffuser and adjust it to your desired position. Tighten the bolts and you are done. 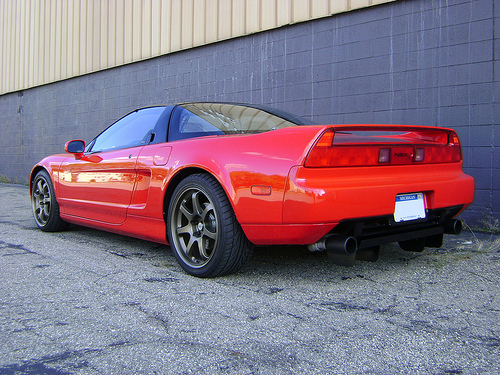 See the photo gallery section for photos of customers cars with the diffuer installed. 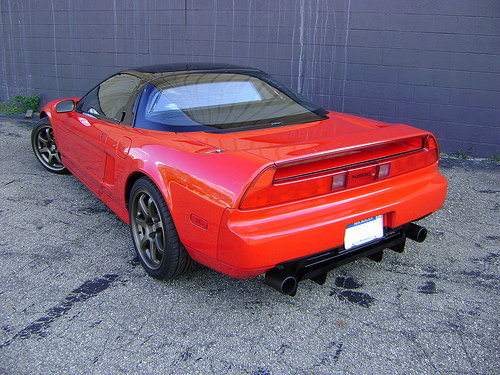 UPDATE FOR 2002-2005 NSX OWNERS. 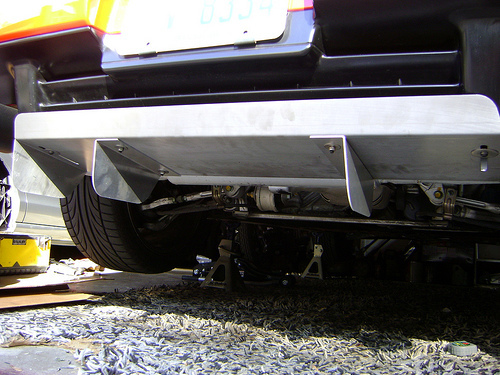 The blodisign diffuser does line up to the newer style rear valence. However it is up to the buyer to supply their own hardware as far as washers and bolts to attach it. UPDATE 9-20-10 WE ARE ALL SOLD OUT OF DIFFUSERS. AT THIS TIME THERE ARE NO PLANS FOR MORE BEING MADE. $275 plus $50 shipping in lower 48 states. Please email me for shipping quotes in Alaska, Hawaii or outside the U.S.
$325 plus $50 shipping in lower 48 states. Please email me for shipping quotes in Alaska, Hawaii or outside the U.S.